Ready in 30 minutes – I promise! Julia Rutland’s recipe makes 4 servings, but is easily adaptable it for 2. Heat 2 tablespoons of olive oil in a 4-quart saucepan over medium heat. Add shallots and rice; cook for 2 minutes. Stir in chicken broth, bring to a boil, reduce heat and simmer 20 minutes, stirring occasionally. In a separate skillet, heat remaining 2 tablespoons oil in a large skillet. Sprinkle salmon with salt and pepper; sear 3-5 minutes on each side or until desired doneness. 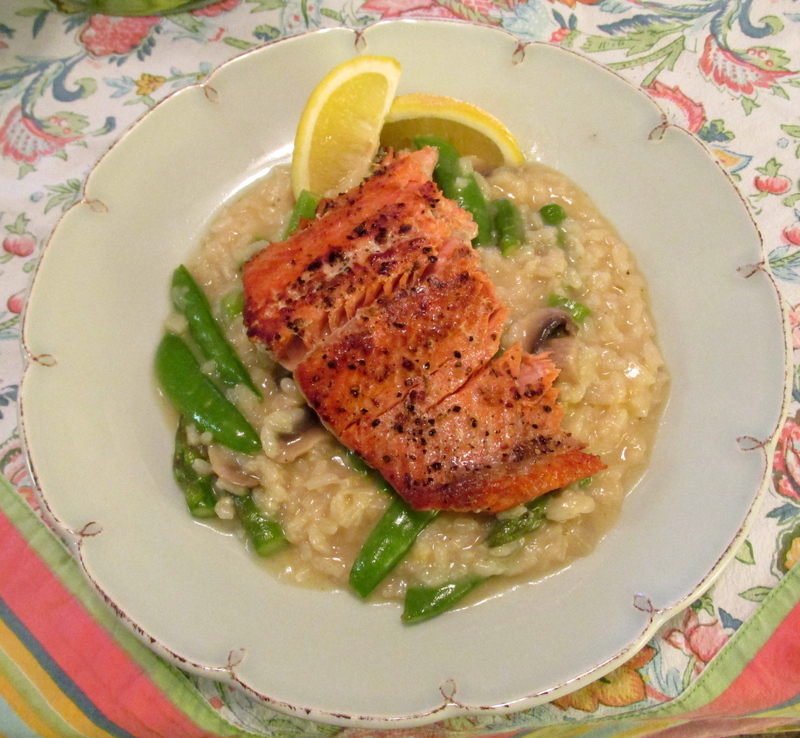 Super simple, and this way of cooking doesn’t clutter up the salmon with extra seasonings to cover up the taste. Stir in asparagus, sugar snaps and mushrooms during the last 10 minutes of cooking time. Stir in cheese until all melty and gooey – adjust seasonings if needed. Dish onto plates and top with seared salmon. Serve immediately with a dash of lemon zest or lemon slices. Tom is a big lemon-lover on his salmon, so I served ours with lemon slices! 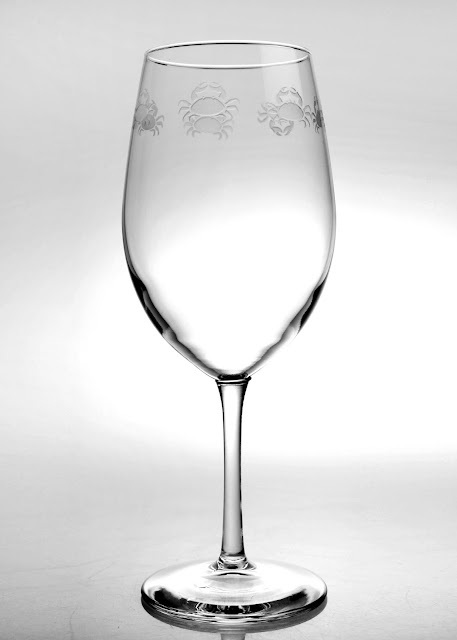 Tom recommends serving with a crisp-cold Sauvignon Blanc... in a pretty glass of course!